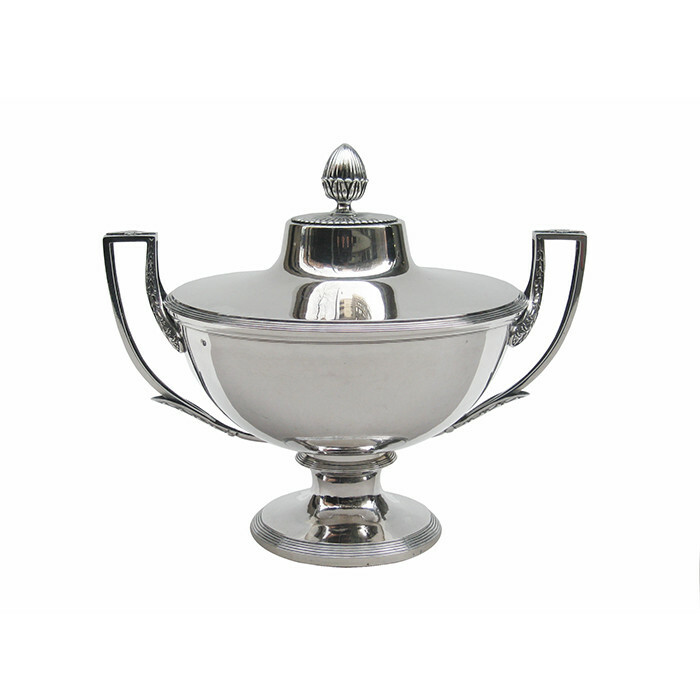 A Rare French Empire First Standard silver tureen in the Neoclassical taste. In .950 silver. Dimensions: H:12 Diameter:10 W:13½ Inches.